We're Hiring a Facilities & Office Coordinator! Would you like to be part of a tech startup phenomenon? 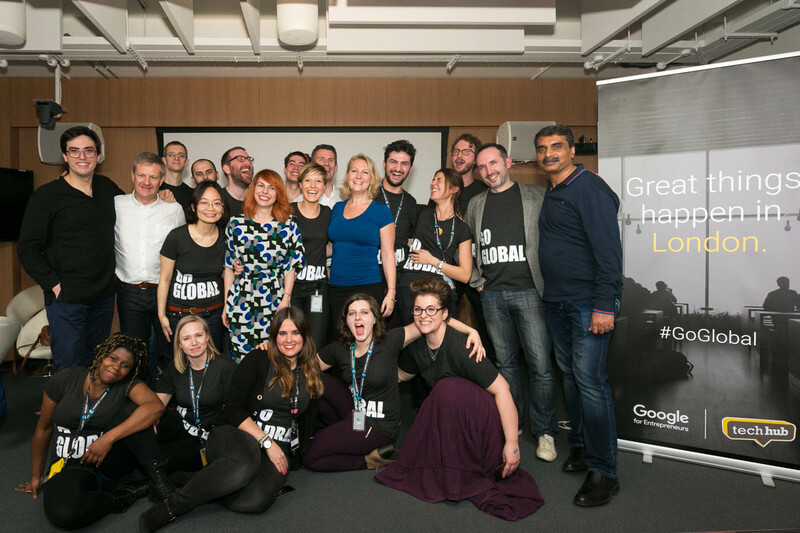 TechHub launched seven years ago and we’re committed to making a difference to tech startups around the world. We’re looking for someone really special to join a smart, fun and friendly team, working in primarily at TechHub London, in East London. You will be a key contact point within our Community Team and to external service providers and will also be the main point of contact with the Landlord for the building. You’ll be essential in building a better experience for our members! Build and maintain effective relationships with external suppliers. Cover all aspects of maintenance to keep the offices/building in perfect working conditions. Cover front desk duties as and when required to enable smooth running of the office life and team activities. Work with with the Community Team to the layout set up and organisation of the Event spaces. Work alongside the Community Team to provide an awesome working environment for our members. The team is small and fun but always busy: being a good team player is essential! You need to be happy to pitch in to help others when needed and not wait to be asked. Open and close the office and carry out daily, weekly and monthly checks of all facilities. Provide out of hours support for emergency situations with site attendance if necessary, providing management of potential critical situations. Manage the relationship with the landlord as their main point of contact. Manage the relationship with the wireless service provider, help members with ethernet set up in the offices when required. Manage 3rd Party Contractors - reactive/planned maintenance, pest control, Fire safety etc. Work on projects, providing PM support for fit out projects, working with contractors to deliver new projects within budget, on time and to the expected quality level. Work with both our team and the building management to ensure the production, monitoring and maintenance of the security card access systems, ensuring adequate security is maintained at TechHub Ropemaker St. Manage the activities of contractors on site to ensure that all jobs are completed in a timely and efficient manner. Act as a point of contact in the event of an emergency situation in order to ensure safety of staff and members and / or mitigate potential damage to premises. Carry out regular building checks to ensure compliance. Conduct check-in and check-out procedures when teams take or leave spaces. Excellent communication and feedback skills. Proven experience in a front of house customer service environment. Ability to work on their own, fix and decorate around the building. An understanding of / experience of technical areas of premises management, e.g. lighting, AC, security systems. Small works project management & negotiation skills. Experience in a similar environment preferable. Punctual, with excellent time-keeping and completely reliable - We need to know you’ll be there when you say you will and are totally trustworthy! This is very, very important for this role. Process-driven - while you're great at jumping in and doing things last-minute when necessary, you have strong skills in creating processes to ensure that nothing is forgotten and your work flows smoothly. Comfortable working independently, but happy to work as part of the team - our team is small, so being able to balance independence with collaboration is really important. Proactive in undertaking any general maintenance task needed. Tech-savvy - you'll need to quickly get to grips with our systems, so good skills and the ability to learn new software, applications and technology is a must. Happy to get stuck in – as with any startup, some duties might be unexpected, or there might be times when it’s all hands on deck. We’re looking for people who want to see TechHub succeed and will get the job done. Energetic and ready to spring to action - there will be some light lifting required (moving desks and office furniture). The kind of person who goes the extra mile – you’re genuinely helpful and committed; and these qualities won’t go unnoticed with us, we believe in giving credit where credit’s due. Include a covering email (in English) telling us why you're interested in the role and why we should hire you - we want to know why you're excited by this particular opportunity. We will not consider applications without a covering letter! Briefly detail relevant experience and skills in the covering email - no need to write about your entire work history (as it will be in your CV), concentrate instead on the parts that you consider most relevant to this position. Include your earliest start date. Be professional but with personality - don't write like a corporate drone, let your real self shine through your email. NO PHONE CALLS. If you call, we’ll assume you didn’t read the job specification carefully or can’t take direction.